It avoids the problem described above of having incorrect contingent beneficiaries named at death. It protects the IRA if the desired beneficiary is a minor, has debt or marital troubles, or is irresponsible with money. 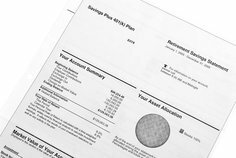 It protects the IRA from intentional or unintentional withdrawal. Since 2005, the IRS has allowed a type of trust created specifically to be the beneficiary of an IRA. The IRA Beneficiary Trust is also known as an IRA trust, an IRA stretch trust, an IRA protection trust, or a standalone IRA trust. The main advantage of using an IRA Beneficiary Trust instead of a standard revocable living trust is that the IRA trust can restrict distributions to ensure compliance with tax rules and minimum distribution requirements – thus maximizing the amount of tax-free growth of the investments. Another advantage is that the IRA stretch trust has a framework that allows it to be structured in a way that guarantees protection of the distributions from the IRA as well as protection of the principal of the IRA. When you first establish the IRA protection trust, you structure the trust as either a conduit trust or an accumulation trust. A conduit trust will pass the required minimum distributions directly to your named beneficiaries, maximizing the tax deferral benefits. An accumulation trust passes the required minimum distributions into another trust over which a named trustee has discretion to accumulate the funds, resulting in greater asset protection for the benefit of the beneficiary. During your lifetime, the IRS allows you to switch between the conduit trust and accumulation trust for each of your beneficiaries, as circumstances change. Furthermore, you may name a “trust protector” who may change the type of trust one last time after your death. This change may be made on a beneficiary-by-beneficiary basis, so that some of your intended heirs have accumulation trusts for their portion of the IRA and others have conduit trusts. IRA Beneficiary Trusts are complicated legal documents with intricate IRS rules and tremendous implications for your family’s wealth accumulation for future generations. It is wise to seek advice specific to your family’s unique circumstances when considering the establishment of this powerful type of trust.